How to access data on World Wide Web? 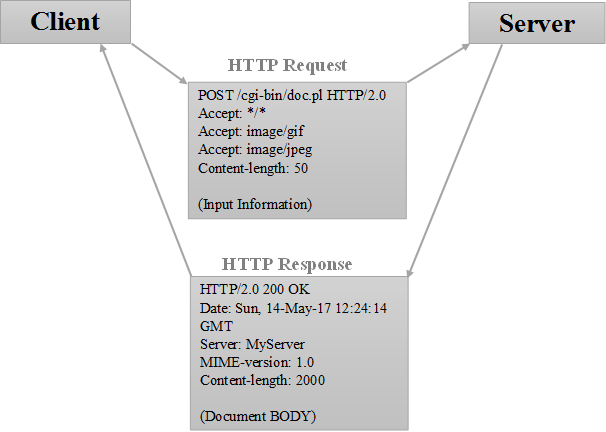 The format of request and response messages are nearly same in HTTP data transaction. 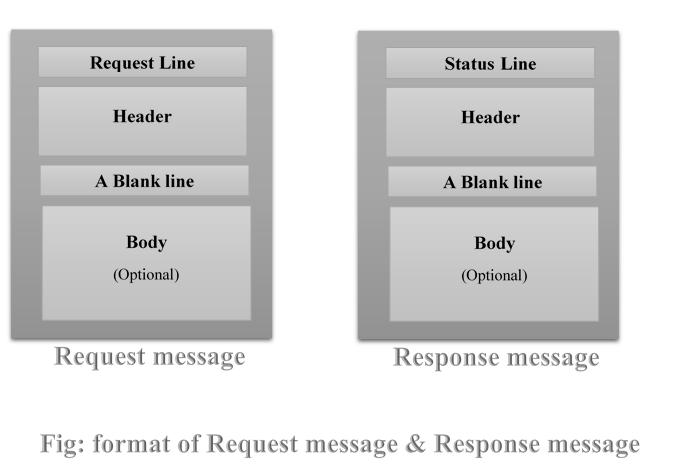 A request message has 3 parts: Request line, Header, and Body while a response message also made up of 3 parts: Status line, Header, and Body. URL is a standard to specify any type of information on the Internet. It defines 4 things: Protocol that is client/server program used for retrieving documents, Host that is a computer where information is located, Port that is inserted between host and path and separated by a colon, and Path that tells where the file is actually located. Header: It is used to exchange additional information between Client and Server. There may be one or more header lines. Each header line contains header name, colon, space, and header value. Header line has 4 categories viz., General Header, Request Header, Response Header, and Entity header. Each header line belongs to any of those categories. Request message headers belong to general, request or entity header category while response message header may be any of general, response or entity header categories. Was this page useful? Share your views in comment section below. Keep visiting Tech-Blogs to get updated with our latest technology related informative posts.